We take pride in our government and public contract facilities with our Aerospace & Defense cleaning services. They include FOD, factory cleaning, janitorial, and more. We’ve provided highly technical production support for Lockheed Martin F-35 fighter jets, planes, to military light armored vehicles (LAV’s). During the analysis, we ensure that no foreign contaminants from paint application or external can intervene in the production process. Our experienced professionals perform in line with the strict sanitation and communication needs within all high-performing systems. 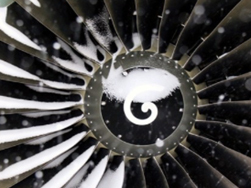 At TEAM Group, we are leaders in providing permanent onsite facility cleaning programs, turnkey industrial cleaning services, and maintenance support to world class aerospace and defense facilities. We perform above and beyond industry standards for government security, intelligence and technology requirements. 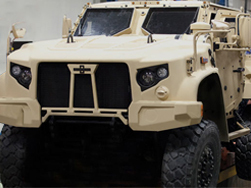 We service covert production factories, military bases, heavy equipment manufacturers, and more. Equipped with unique experience, we can ensure a complete industrial cleaning solution for janitorial and paint, maintaining high classification cleanrooms and robotic platforms. Foreign Object Damage (FOD) explores critical quality and safety control measures, safeguarding airtight entry and exit for booth clearance. Environmental contaminants, invasion, or ineffective containment, such as buildup on tools, parts, and loose hardware, can wreak havoc on production targets. 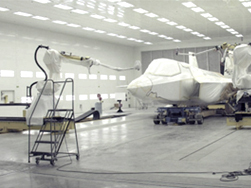 Stealth paint is protected because TEAM meets the required protocol, eliminating hazards. For example, we provide customized options for specialized, laboratory level cleaning. Encapsulation, or trap and bag, is a method ensuring that excess, proprietary paint formulae can be returned for reprocess, delivering bulk cost savings. TEAM Group executes a variety of turnaround tasks, such as upgrading air houses or supply, ducts, and exhausts to “like new” conditions with deposit removal from interior and exterior structures. We sweep, vacuum, and wipe all foreign material and debris. Our service professionals also remove trapped buildup from the paint application process, in wet spray booths, to overall ground facility and building infrastructure. Various procedures, such as hot water cleaning or water blasting, and other approved chemical methods are available to remove all calcium, condensate, and other potentially disruptive materials in a through manner throughout walls, ceilings, floors, filter frames, coils and other associated equipment.